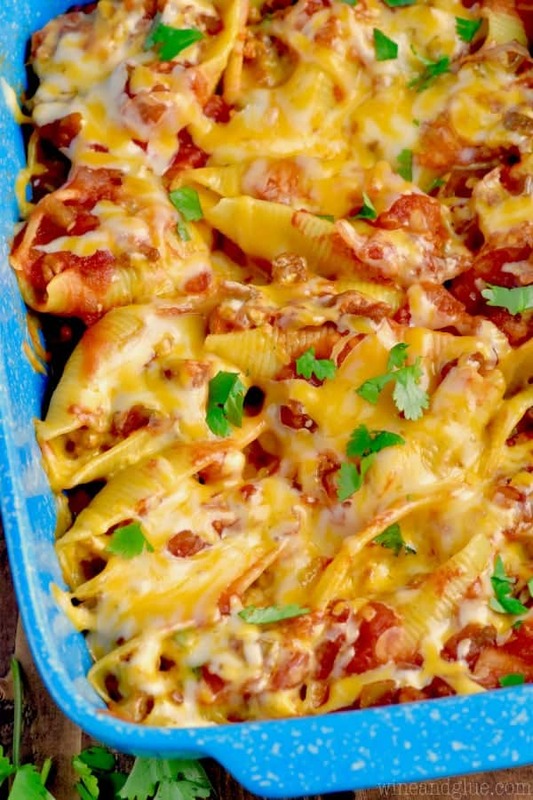 These Creamy Taco Stuffed Shells make for an easy but absolutely delicious dinner! 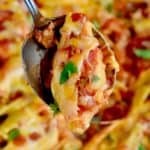 This is a taco twist on your favorite stuffed shells recipe! It is a great weeknight dinner. Throw on your favorite taco toppings like olives, jalapeños, and guacamole and dig in! This post was originally posted in 2015 and sponsored by Jennie-O. It needed a photo update, but we are just as in love with their Taco Meat as we were back then. We have it all the time as it is my kids’ favorite way to eat tacos. We are dealing with a picky three year old situation in our house. Actually, we are dealing with a lot of three year old related issues in our house. #Threenager And there are 3,427 things that make that frustrating, but #2 on that list is that everyone and their brother loves to tell us how cute she is, and how she couldn’t possibly be as much of a holy terror as we describe her to be. Yes. Because if I’m going to be inaccurate about my child’s behavior, I’m definitely going to make it seem like I’m doing a bad job at parenting. That was sarcasm if you didn’t pick up on it. It’s my speciality. Anyway! One thing that makes the picky threenager less picky is taco night! And our absolute favorite way to have taco night is with the Taco Seasoned Ground Turkey from Jennie-O. We make bowls of taco toppings and let the kiddos put together their own tacos. They looooove it! Pssst, if you can’t find this grab some regular ground turkey and whip up some of my homemade taco seasoning. 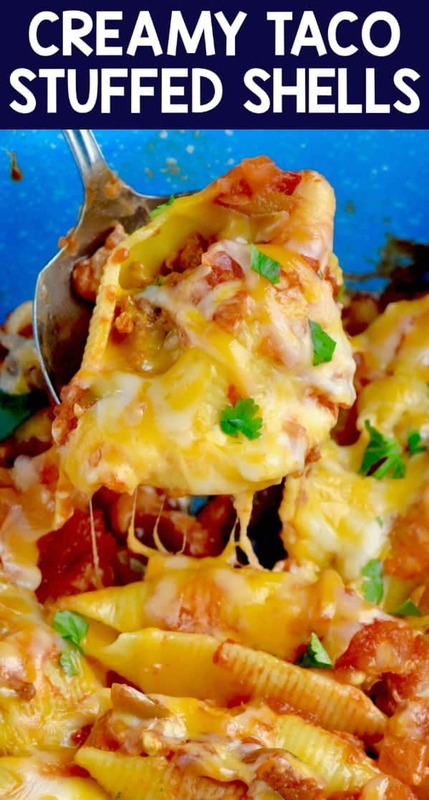 When we are looking to mix up taco night a little bit, we make these Taco Stuffed Shells! 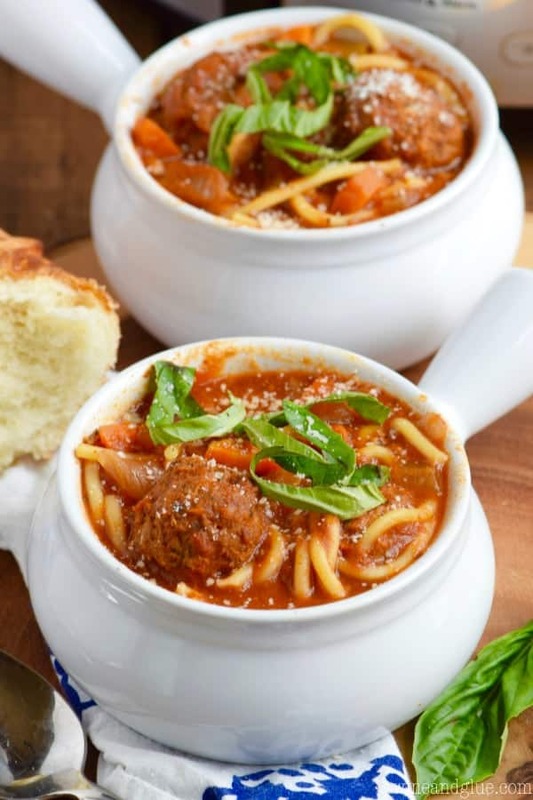 They are absolutely easy to make and come together with just a few ingredients! If you have trouble finding the taco seasoned ground turkey, you could certainly just use regular ground turkey and taco seasoning. Though, to be totally honest, my kids like it better when Jennie-O does it for us. I have had people who follow my FaceBook page ask me why I use turkey instead of ground beef, and honestly I like the flavor better. Like a lot better. Plus, this taco meat has 70% less fat than ground beef. I mean, that makes me feel a lot better about adding the cream cheese. And even when I just have it over lettuce, it is just as moist as beef. Win, win, win! You could definitely just serve these on a plate right out of the oven, but I think it is fun to live it up and make it more like taco night! 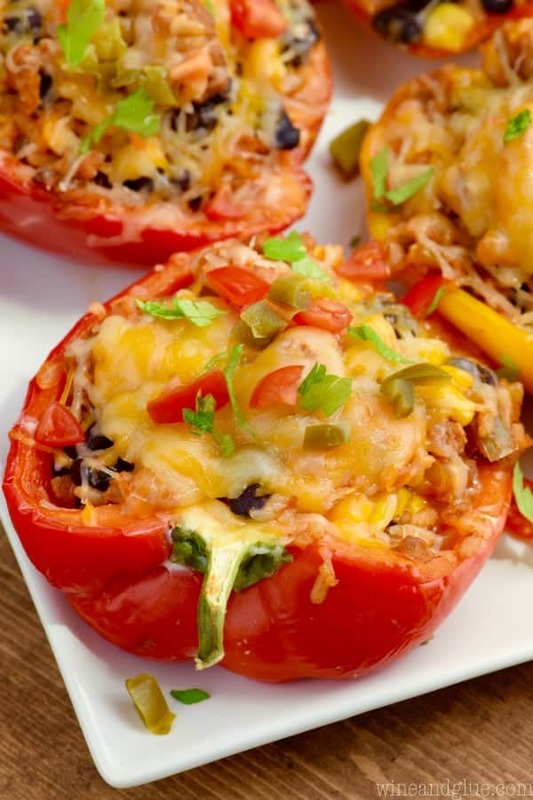 Top these with some olives, jalapeños, guacamole, sour cream, and tomatoes! 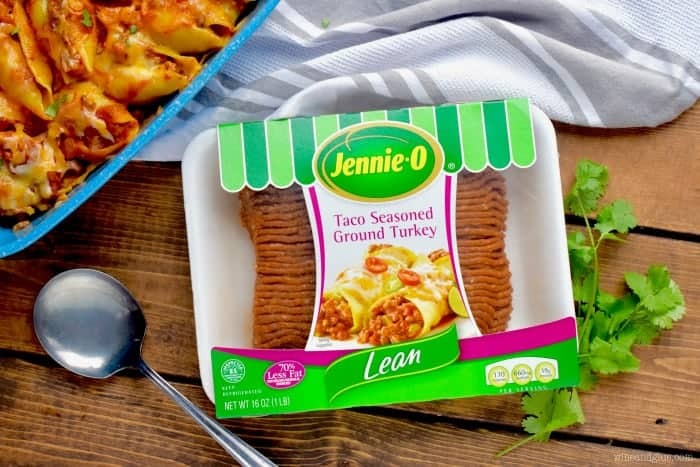 Make sure you follow Jennie-O on Instagram, Twitter, and Pinterest and check out their site for more great ways to use their Taco Seasoned Ground Turkey! 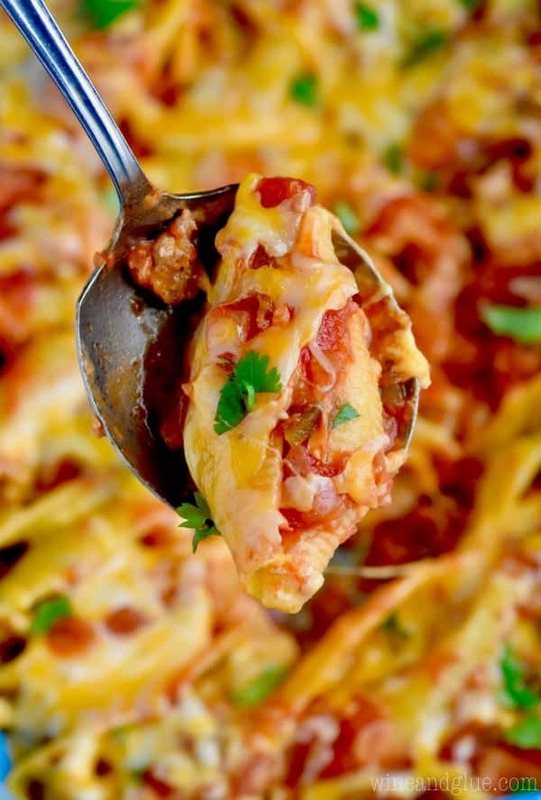 These Creamy Taco Stuffed Shells make for an easy but absolutely delicious dinner! 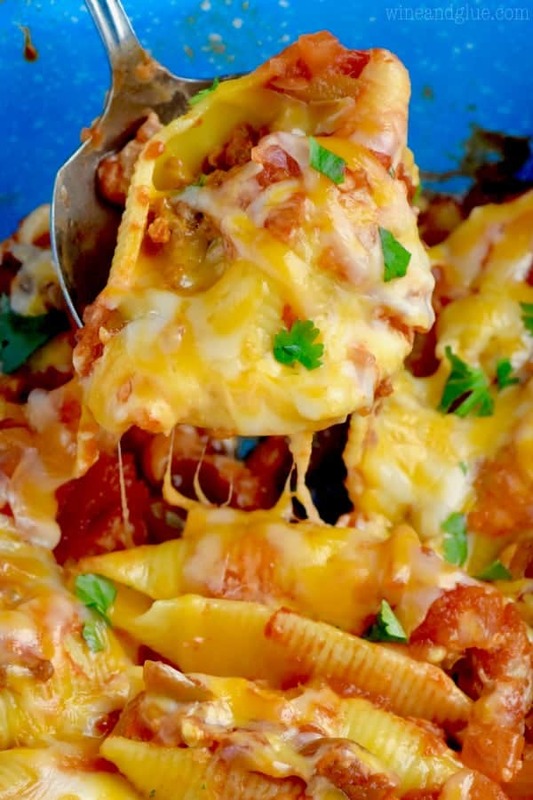 This is a taco twist on your favorite stuffed shells recipe! 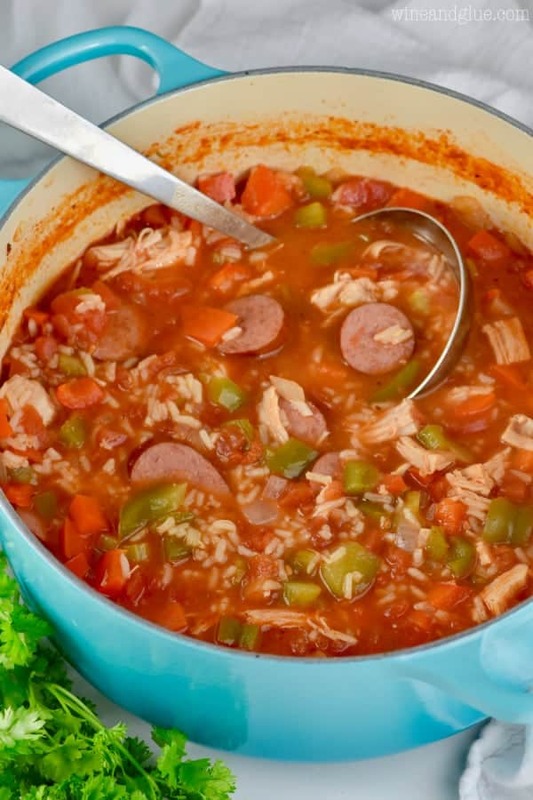 It is a great weeknight dinner. Preheat your oven to 350. Spray a 9 by 13 inch pan with cooking spray and set aside. Boil a large pot of water and cook the shells according to package instructions (see note). When the shells are finished cooking, drain them and rinse them with cold water to stop the cooking process. Cook the turkey meat over medium heat until completely cooked through, breaking it up as you cook. Add the cream cheese and melt it in, throughly combining it with the turkey. Spread half of the salsa over the bottom of the pan. Spoon a small amount of the turkey/cream cheese mixture into 24 shells (you will have shells left over), placing them seam side up on the salsa. Top with the remainder of the salsa and then add the shredded cheese. Cover with tin foil and bake for 30 minutes. Remove the foil and bake for another 3 to 5 until the cheese is nice and melty. 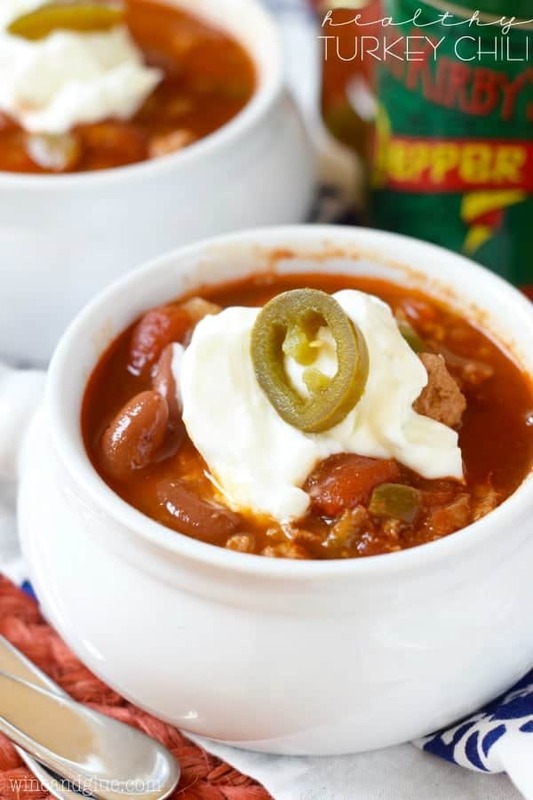 Serve with toppings, like green onions, jalapeños, olives, shredded lettuce, and tomatoes, and enjoy! You definitely do not need to blend your salsa, my family just doesn't like the chunks of onion, so I do it for their sake. When you cook the shells, make sure to set your timer and cook them for just the amount suggested on the box. You don't want to over cook your shells because they will cook more while baking. 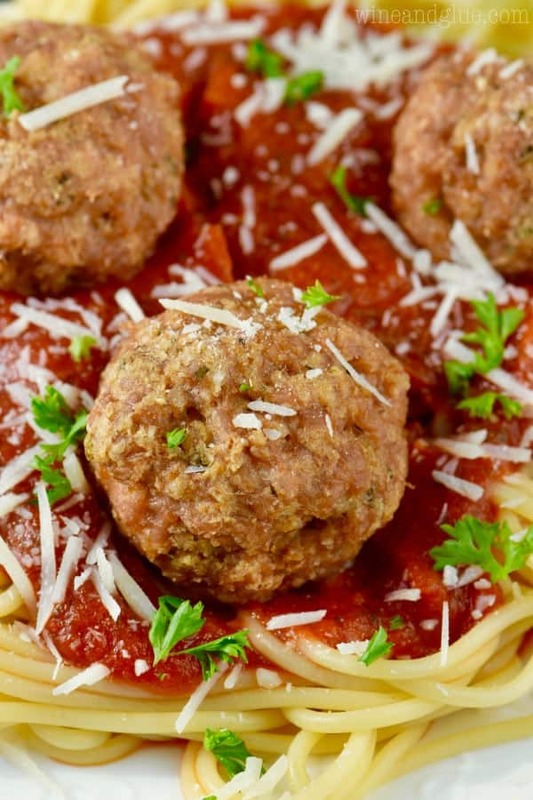 More great dinner recipes that you will love! I hate that “in between” funk after you come back from a nice vacation. It is hard to get back to a normal mindset sometimes! 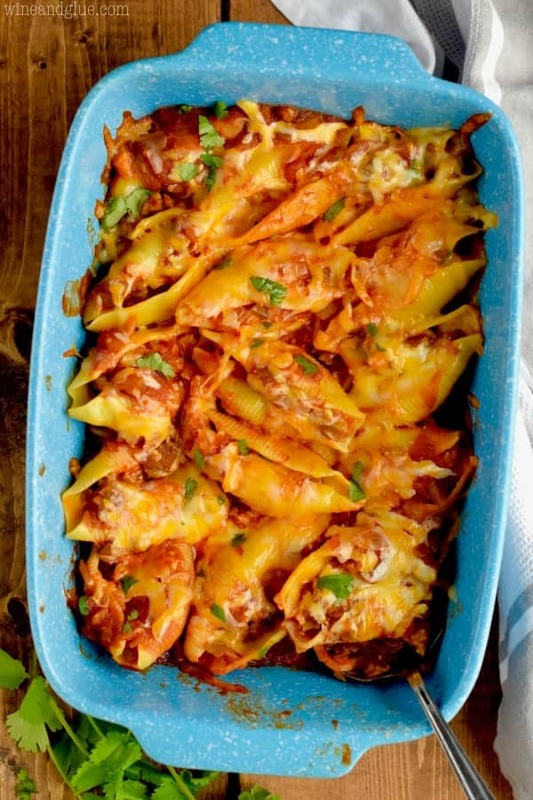 I am loving these stuffed shells! Such a fun spin! I absolutely pink puffy heart Jennie-o!! And I’m totally making this, BTW!